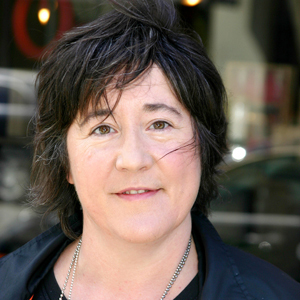 Christine Vachon is an Independent Spirit Award-winning producer. She has been lauded for her career filmmaking with the Producer Award from the Gotham Independent Film Awards. She co-founded, with Pamela Koffler, the impactful independent film and television production company Killer Films in 1995. Killer's Oscar-winning films have included Kimberly Peirrce's Boys Don't Cry and Richard Glatzer and Wash Westmoreland's Still Alice. Its Oscar-nominated films have included Todd Haynes' Carol, I'm Not There, and Far From Heaven. The latter swept the Independent Spirit Awards, winning five including Best Actress (Julianne Moore), Best Director, and Best Feature. In her capacity as director, Ms. Vachon has again been nominated in the Spirits' Best Feature category, most recently for Carol; the film also brought her a BAFTA Award nomination, among other honors. Ms. Vachon's dozens of other Killer movies have included Mr. Haynes' Safe, Velvet Goldmine, and Wonderstruck; Todd Solondz's Wiener-Dog, Storytelling, and Happiness; Miguel Arteta's Beatriz and Dinner, starring Salma Hayek and John Lithgow; Nigel Finch's Stonewall; Rose Troche's The Safety of Objects, which marked the breakout role for Kristen Stewart; Todd Graff's Camp, which marked the breakthrough role for Anna Kendrick; Mary Harron's The Notorious Bettie Page, starring Gretchen Mol; Tommy O'Haver's An American Crime, starring Catherine Keener and Ellen Page; Jordan Scott's Cracks, with Juno Temple and Maria Valverde; Andrew Neel's Goat; Elizabeth Wood's White Girl, starring Morgan Saylor; Andrew Dosunmu's Where Is Kyra?, starring Michelle Pfeiffer; Paul Schrader's First Reformed; and upcoming, Brady Corbet's Vox Lux, starring Natalie Portman, Raffey Cassidy, and Jennifer Jason Leigh. Ms. Vachon is also the director of the MFA program at Stony Brook University. UK born Lynette Howell Taylor is the founder of 51 Entertainment, a platform agnostic filmmaker-driven production company. This year Lynette produced Bradley Cooper's directorial debut A STAR IS BORN in which he stars opposite Lady Gaga. The film has received numerous award nominations from the Golden Globes, AFI, Critic’s Choice, and The National Board of Review. Lynette is currently in post-production on WANDER DARKLY, written and directed by Tara Miele, and starring Sienna Miller and Diego Luna. She is also in pre-production on Derek Cianfrance’s HBO limited series I KNOW THIS MUCH IS TRUE starring Mark Ruffalo, which is based on the best-selling novel by Wally Lamb. Lynette produced CAPTAIN FANTASTIC, written and directed by Matt Ross and starring Academy Award-nominee Viggo Mortensen. The film won multiple awards around the world including the Best Director prize in CANNES UN CERTAIN REGARD. Lynette is also producing Ross' film adaptation of Tom Sweterlitsch’s TOMORROW AND TOMORROW with Mark Gordon and Guymon Casady for TriStar and she previously produced Matt Ross' 28 HOTEL ROOMS, which premiered in Sundance and was released theatrically in 2012. Last year, Lynette produced Brie Larson’s directorial debut UNICORN STORE. Lynette also produced the Warner Bros movie THE ACCOUNTANT, directed by Gavin O’Connor and starring Academy Award-winners Ben Affleck and JK Simmons. Some of Lynette's movies include the award-winning BIG EYES directed by Tim Burton, Ryan Fleck's Oscar nominated HALF NELSON, THE PLACE BEYOND THE PINES and Oscar nominated BLUE VALENTINE, both directed by Derek Cianfrance, ALEX OF VENICE, TERRI, ON THE ICE, STEPHANIE DALEY, KRISTY, THE PASSAGE, PHOEBE IN WONDERLAND, THE GREATEST, AN INVISIBLE SIGN, SHARK NIGHT 3D, LEVITATED MASS, THE SPACE BETWEEN, and multiple episodes of the award-winning ESPN 30 FOR 30 docu-series. Recently, Elwes produced the hit period drama “Lee Daniels’ The Butler,” which featured an all-star cast headed by Forest Whitaker and Oprah Winfrey. He also executive produced J.C. Chandor’s “All Is Lost” starring Robert Redford and executive produced and arranged financing for the Oscar winning hit “Dallas Buyers Club” directed by Jean-Marc Vallee, starring Matthew McConaughey, Jared Leto and Jennifer Garner. Elwes executive produced the Kevin Costner release “Black and White”, directed by Mike Binder, and has produced both Werner Herzog’s “Queen of the Desert” and Eli Roth’s “Knock Knock”. His most current release was “Elvis & Nixon” starring Michael Shannon and Kevin Spacey. Cassian is in post on the 1980’s Los Angeles-set thriller “The Billionaire Boy’s Club”, starring Ansel Elgort, Taron Egerton, and Kevin Spacey. Elwes most recently finished “Mudbound”, which was directed by Dee Rees, starring Carey Mulligan, Jason Clarke, Jason Mitchell, Mary J. Blige and Garrett Hedlund and premiered at the 2017 Sundance Film Festival. Elwes has just completed filming his second feature with director Dee Rees, The Last Thing He Wanted starring Anne Hathaway, Ben Affleck, and Willem Dafoe and his feature Jeremiah Terminator Leroy, starring Kristen Stewart, Diane Kruger, and Laura Dern which was screened at the 2018 Toronto International Film Festival and will open in late 2018. Alison Emilio is Director of ReFrame, a partnership between Sundance Institute and Women In Film Los Angeles. ReFrame is an influential and dedicated group of entertainment industry leaders – more than 60 male and female Ambassadors – that includes studio heads, agency partners, senior network executives, producers, directors, writers, actors, agents, and guild leaders committed to increasing the number of women of all backgrounds working in film, TV, and media. 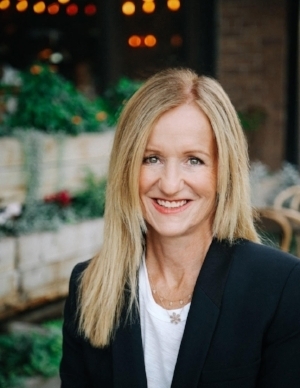 Prior to ReFrame, Alison served as Vice President, Marketing and Strategic Partnerships for CreativeFuture. Her feature film work includes executive positions at Lorimar Filmed Entertainment and New Line Cinema (New York and Los Angeles) as Senior Vice President, Marketing and Communications, responsible for the marketing, publicity, and promotional campaigns for more than 30 films, as well as supervising corporate and financial communications. She established the U.S. office of the Ontario Media Development Corporation, where she was responsible for generating over $150 million in revenue. Emilio’s producing credits include Handmade Films’ Dinner at Fred’s, starring Parker Posey, Gil Bellows, and Christopher Lloyd; Drowning on Dry Land, starring Barbara Hershey and Naveen Andrews; Someone is Watching, starring Stephanie Powers, for Lifetime; and the award-winning short, Candlelight from director, Veronica Ortiz-Calderon. Alison is a Faculty Advisor for Carnegie Mellon University’s Master of Entertainment Industry Management (MEIM) Program in Los Angeles. Michelle Satter is the founding director of the Sundance Institute's Feature Film Program, which was the inaugural program of the Institute. As the Feature Film Program director, she has provided year-round and in-depth support to groundbreaking and award-winning filmmakers from the U.S. and around the world. She also spearheaded the Institute's international work in Latin America, Europe, and the Middle East as well as the Sundance/NHK International Filmmakers Award celebrating 100 years of cinematic history. In 1989, Satter coproduced the Academy Award-nominated documentary Waldo Salt: A Screenwriters Journey. She is currently one of the producers on the film adaptation of Isabel Allende's International bestseller Eva Luna. Prior to the Sundance Institute, Satter lived in Boston and was the director of public relations/marketing at Boston's Institute of Contemporary Art and a partner and program director of ArtiCulture, Inc., where she produced hundreds of performing arts events throughout the Boston area. She has served on the Boards of the Independent Feature Project, MAISHA, and Equinoxe. Most recently, Satter was recognized with the Women in Film Business Leadership Award and the ACLU Bill of Rights Award.